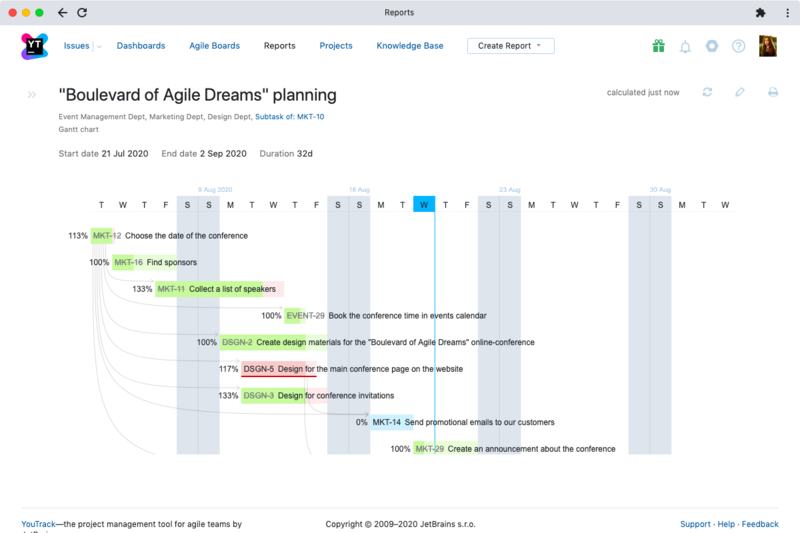 Take a full control of product development processes in your team using Gantt Chart. Follow the progress of your projects, estimate time, and track the results. 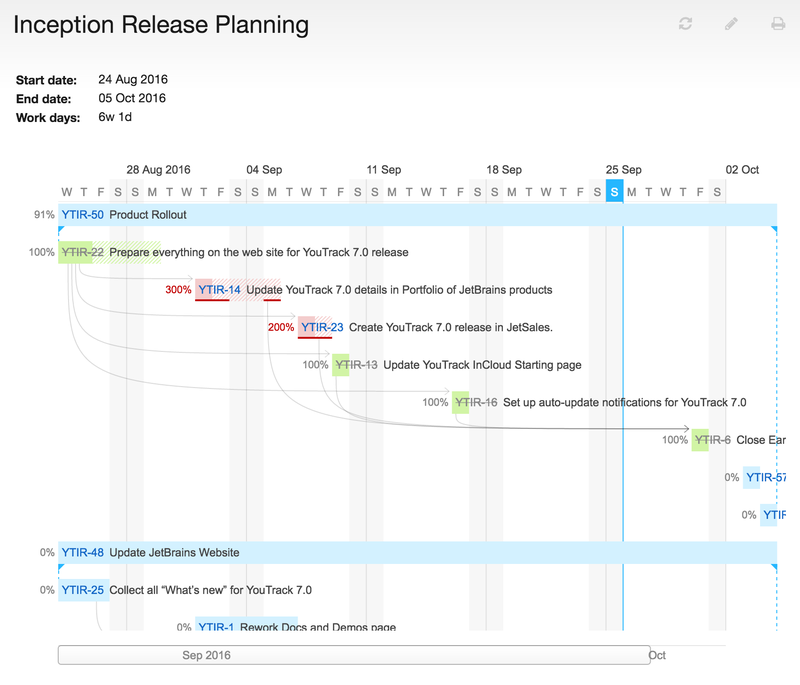 The Gantt Chart in YouTrack lets you plan and get an overview of the flow of your project. Set up the chart to show issues from multiple projects, limit the amount of work in progress, and control how many levels of subtasks are included in the report. Gantt Chart can display issues from one or more projects that match specific search criteria, and supports capacity limitations. Capacity in the Gantt Chart limits the maximum number of issues that can be in progress simultaneously. This option helps you determine how much time is required to finish the tasks with a set number of resources. For example, this screenshot shows the capacity limited to 2 tasks. Prioritize which issues are scheduled before others. For example, when you use the custom order from your product backlog, the chart schedules issues according to their priority in the backlog and the capacity of your project team.